Netgear XAVB2101 Powerline AV 200 Nano Adapter Kit Review - Best Review by Dan Karas. One of the questions we receive most often at ISP 1 is: How do I extend my home network to areas with poor wireless reception? There are multiple ways to do this including running Ethernet cable, wireless extenders, etc. One of the easiest methods is to use Ethernet powerline adapters. The Netgear XAVB2101 Powerline AV 200 Nano Adapter Kit is a convenient and very easy solution. 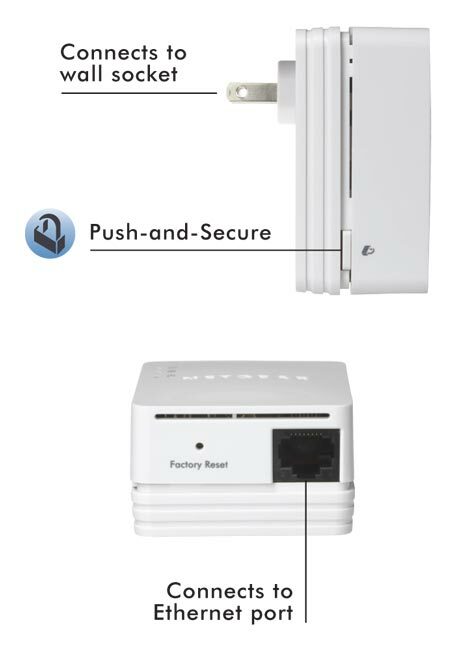 The XAVB2101 powerline adapter kit extends your broadband Internet connection to any common power receptacle. The kit includes two power modules and can be expanded to meet your needs. The way it works is you simply plug one module into a power outlet by your router and another into a power outlet in the room that you would like to extend your broadband network to. There is a standard RJ45 Ethernet jack on each module. You connect a Ethernet patch cable between the power module and the router and another between the other module and your device, it's that simple. 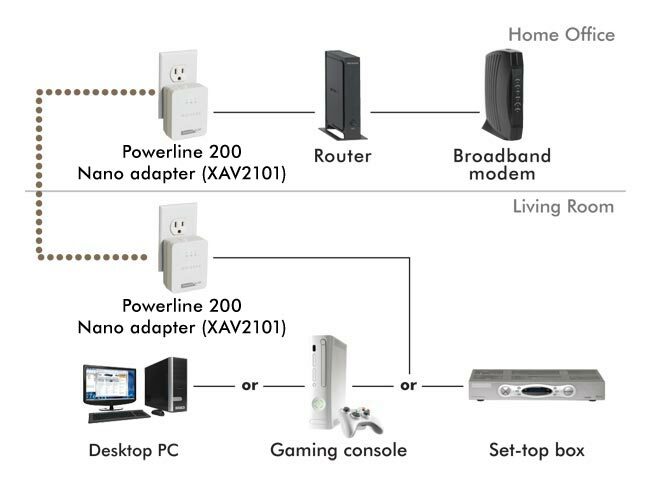 The devices use HomePlug Powerline Networking standard and can function with other HomePlug devices from various manufacturers. They work great for streaming HD video such as NetFlix to ROKU boxes smart HDTVs, Blu-ray players, etc. They can also solve poor connection problems with PCs and game consoles, Xbox, Playstation, etc. in areas of your home with weak WiFi signal or heavy wireless interference. Powerline Ethernet Adapters are easy to setup, just plug and play. The Netgear XAVB2101 Powerline AV 200 Nano Adapter Kit is one of the highest consumer reviewed Powerline Adapters you can buy at Amazon. Perfect for connecting smart TVs and consoles. The Netgear XAVB2101 Powerline AV 200 Nano Adapter Kit will not speed up a slow Internet connection. If your broadband ISP service is too slow to stream smooth Netflix video then powerline adapters will not help. You'll need to find a faster Internet provider. However if you have a fast Internet provider but your problem is extending your broadband connection to a area with poor or unreliable wireless signal, then a set of powerline adapters may provide a simple solution. The speed, performance, features, and Excellent Customer Reviews of the Netgear XAVB2101 make it a good choice if you're in the market for a quality powerline adapter kit. In my opinion and that of many customers that submitted reviews the Netgear XAVB2101 is a quality product and deserves five stars. PDF Format - "Netgear XAVB2101 Powerline AV 200 Nano Adapter Kit Review"